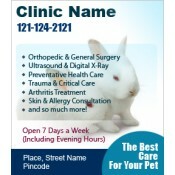 Animal clinic magnets can help to stick your business messages over refrigerator doors of your clients for a long time. 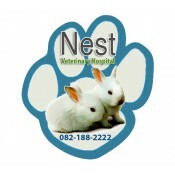 These custom promotional magnets are perfect to attract pet owners and pet friendly organizations that have taken up the cause of serving destitute and orphaned young animals. 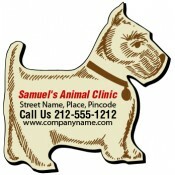 By looking at these logo animal magnets, your clients will easily think of your clinic whenever their furry members need special care and attention. 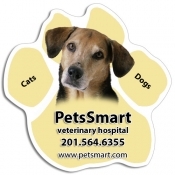 If you own a veterinary clinic, animal hospital or a pet clinic, you can invest in these custom shaped magnets and business card magnets which are designed to keep your special promotional requirements in mind. Veterinary marketers understand the only way to succeed in business is by gaining confidence of pet owners and this is only possible if they trend over the consciousness of their clients. 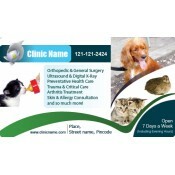 People are very sensitive about their pets and it takes extra effort to persuade them to try new veterinary clinic or surgeon. 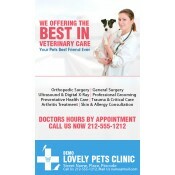 A veterinary marketer can gain the confidence of their prospective clients by remaining before their eyes at all times. 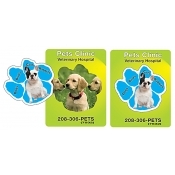 Veterinary marketers can distribute logo printed animal clinic magnets or graphically enriched pet care promotional magnets during occasions of mass turnout. 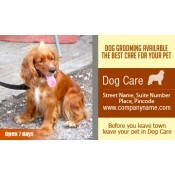 People love discussing their pets and they will not mind receiving a reminder token which will come to their use, when their pets are in the need. 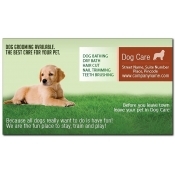 Distribute logo veterinary magnets at trade shows, pet shows, pet clinics and more. 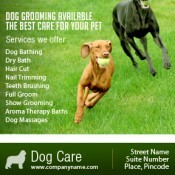 Pets are sensitive and lovable creatures which people do not mind discussing at odd hours of the day. 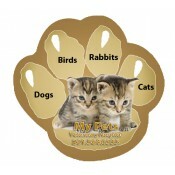 This means you can find plethora of opportunities to gift these custom animal magnets. 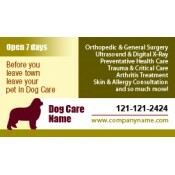 These imprinted animal magnets offer exposure to your clinic or veterinary business with ease. 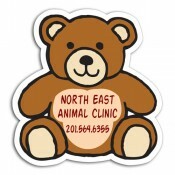 Our collection comprises of a range of animal clinic magnets in visually appealing paw shapes to cute teddy bear shapes to plain business card shapes. You can select the design which offers great visual delight to your clients and a comfortable space for positioning your logo. 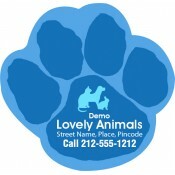 You can get these imprinted animal magnets customized to create a distinct identity for your business. 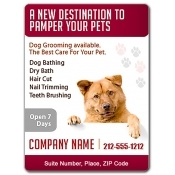 Avail the benefits of free shipping, free art setup, free online design proof and free full color printing with all promotional animal clinic magnets and other custom magnets. 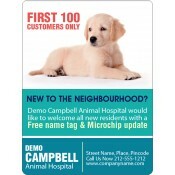 Feel free to reach out to us at info@CMagnets.com or call us at 855-762-4638 (Toll Free).